Lionsgate has announced that their upcoming big screen reboot of the classic TV series “Power Rangers” has been delayed from July 22, 2016 until January 13, 2017. 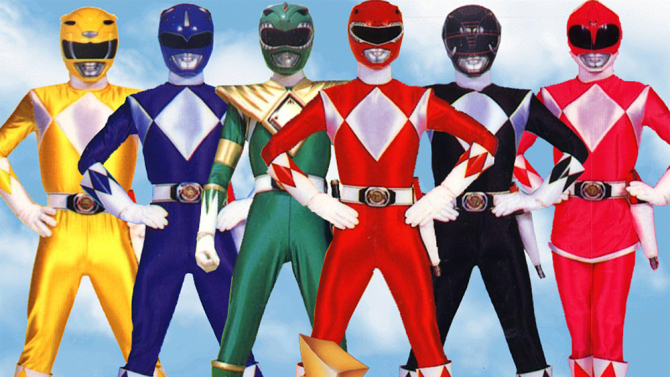 Screenwriters Zack Stentz and Ashley Miller (X-Men: First Class, Thor) will script the upcoming reboot of Power Rangers, which is described as a modern reinvention of the long-running franchise. In it, a group of ordinary high school kids find themselves infused with extraterrestrial powers and must harness those powers as a team to save the world. Project Almanac‘s Dean Israelite is in talks to helm the big screen adaptation, which will see original creator Haim Saban acting as producer along with Brian Casentini and Allison Shearmur. Lionsgate has also set an August 21, 2015 release date for director Nima Nourizadeh’s American Ultra, starring Kristen Stewart, Jesse Eisenberg, Walton Goggins, Connie Britton, Bill Pullman, Topher Grace and Tony Hale. In the action comedy, written by Max Landis, a stoner and his girlfriend’s sleepy, small-town existence is disrupted when his past comes back to haunt him in the form of a government operation set to wipe him out. The studio announced release dates for four more 2016 film as well. Criminal (Summit Entertainment), which was previously scheduled for August 21, 2015, will now hit theaters on January 22, 2016. It will be followed on February 26, 2016 by Dirty Grandpa. That comedy was originally going to arrive in theaters on August 12, 2016. The Alex Proyas film Gods of Egypt (Summit Entertainment), meanwhile, is being pushed back from February 12, 2016 to an April 8, 2016 release. Also, Lionsgate has set a July 15, 2016 release for La La Land from Summit Entertainment. In this modern take on the Hollywood musical from Damien Chazelle, the Academy Award-nominated writer and director of Whiplash, Sebastian (Ryan Gosling) and Mia (Emma Stone) are drawn together by their common desire to do what they love. But as success mounts they are faced with decisions that begin to fray the fragile fabric of their love affair, and the dreams they worked so hard to maintain in each other threaten to rip them apart.